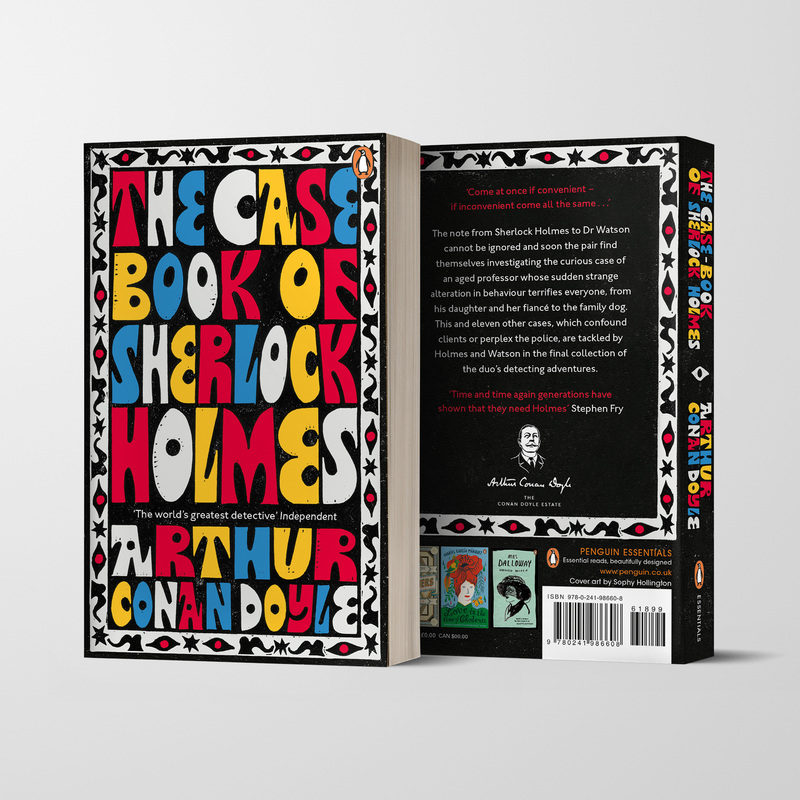 The new Penguin Essentials edition of The Casebook of Sherlock Holmes by Arthur Conan Doyle. We love this cover design by Sophy Hollington, a Brighton-based artist who specialises in lino-cuts, and cut this design out of lino by hand. We're sure that Arthur would approve! In this, the final collection of Sherlock Holmes adventures, the intrepid detective and his faithful companion Dr Watson examine and solve twelve cases that puzzle clients, baffle the police and provide readers with the thrill of the chase. These mysteries - involving an illustrious client and a Sussex vampire; the problems of Thor Bridge and of the Lions Mane; a creeping man and the three-gabled house - all test the bravery of Dr Watson and the brilliant mind of Mr Sherlock Homes, the greatest detective we have ever known. The series was launched in 1998 as a collection of modern classics with thought-provoking, striking and unconventional cover design. The launch was led by Art Director, John Hamilton, who purposefully commissioned a diverse and eclectic selection of creatives from around the world – from graffiti artists to tattooists to illustrators to fashion designers – to rethink and reinvigorate the covers of modern classics. This Penguin Essential edition will be published on 6th June this year in paperback.